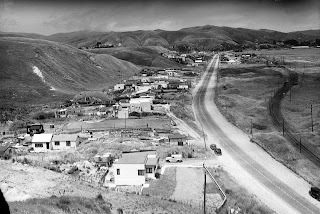 As a continuation of the previous post, here is a photo looking the opposite direction, also in 1949, but we don't know who the picture was taken by. 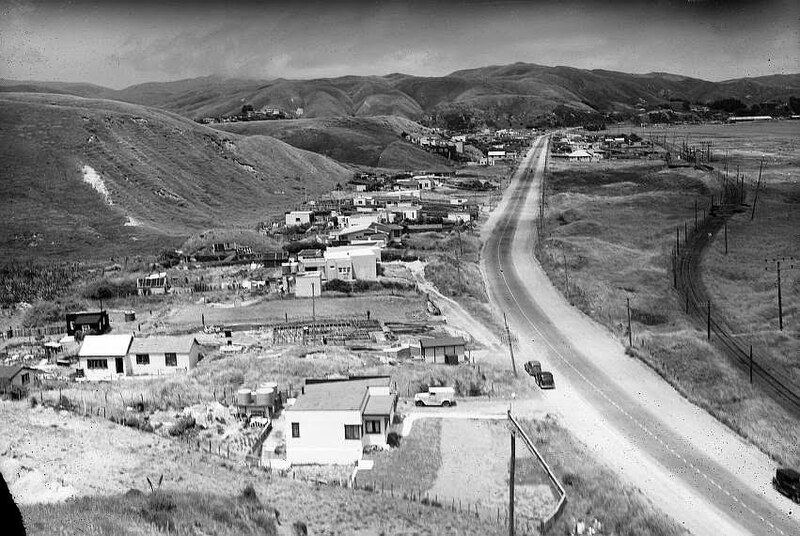 Quite a few houses have been built, but there was as yet very little commercial development and the railway line is still single track, despite having been being electrified about 10 years earlier. The track was not straightened and duplicated until the beginnning of the 1960s. The Mana Station, at that time known as Dolly Varden, is in the background. This was named after a ship but which in turn was named after a "woman of ill-repute" so local pressure eventually saw the station renamed Mana! Who would care about that nowadays?